Based on Liam O’Flaherty’s popular novel, this gripping thriller is set amongst a group of revolutionaries in the newly independent Ireland of 1922. When one of their number, Francis, kills the chief of police he goes on the run. But when he returns to say goodbyes to his mother and former lover he is cruelly betrayed by his onetime friend, Gypo. 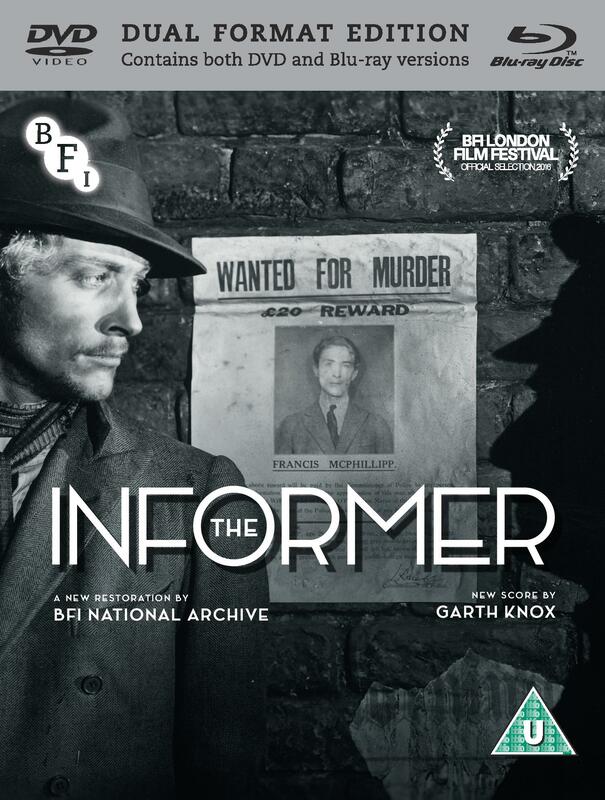 Newly restored by the BFI National Archive, with a new score from acclaimed violist/composer Garth Knox and premiered at the 2016 BFI London Film Festival, The Informer is one of the finest British films of the 1920s and deserves a place alongside other silent greats such as Blackmail, A Cottage on Dartmoor and Piccadilly. This Dual Format Edition includes the silent version alongside the rare sound version produced at the same time, and a host of extras.